Services — Heritage Trimmings Ltd. This no cost service is quick and simple. Just send us cuttings of the fabrics, wallpapers, flooring or even paint colours that you wish to have matched along with a preference of fibre you wish to have your trimmings made in. We will then offer a variation of ‘twists’ for you to select from, which will be in the exact materials your trims will be made in. The fibres you can choose from are: spun rayon, cotton, wool, silk, filament viscose. Other materials are available, but are not necessarily held in stock. You can have more than one fibre either mixed or separate – this option can give your trimmings a very sophisticated look and feel. It is helpful to know what type of trimming you wish, but if you need help with product selection, measurements, or which fibre would be right for your scheme just call or email the design team who are there to help you. Don’t forget, this is a bespoke service – you can have it the length you want in the colours and fibres you choose, and on time. Heritage can offer, at no additional cost, help with designing trimmings for your scheme. From how long a bullion fringe could be made to a full pelmet and window treatment we can offer advice and designs that will give you the look and finish you wish. Heritage has a wealth of experience in this field having worked on projects from private homes to Royal Palaces. Carriages, cars, trains, coaches and buses, airplanes, blinds, umbrellas, hats, altars, vestments, ceremonial attire, books, cards, flags and banners are some of the alternative projects we have designed and made special trimmings for. Home market or export Heritage is here to help. 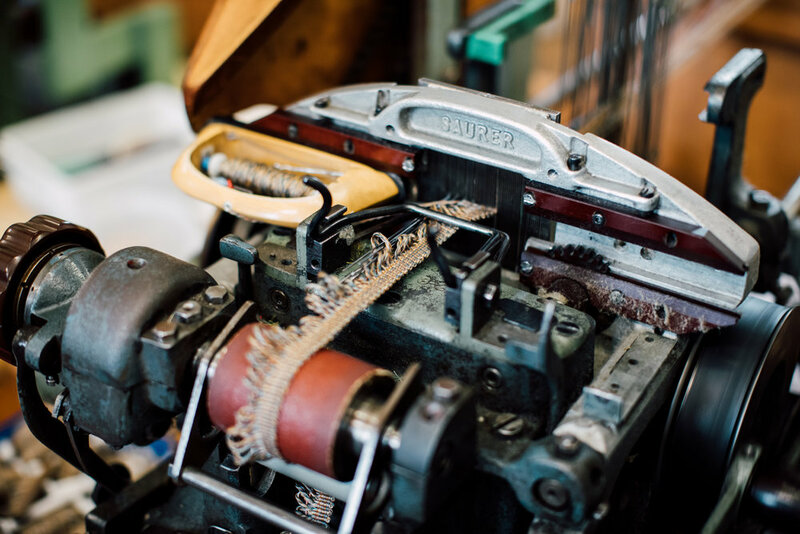 Heritage specializes in the reproduction of historic passementerie. Having been involved in the most important of historic projects both in this country and internationally Heritage has built up a reputation for accuracy and excellence in this field, and they are now considered to be amongst the very best in the world for the remaking of this fabulous passementerie. Whether an intricate jacquard lace in gold thread, or an elaborate tassel with the most sumptuous silk finishes Heritage can do it all to the highest of standards. Once you contact them they will get very much involved in your project with knowledge and enthusiasm. Experience has shown them while working with experts like Annabel Westman, Curators of Royal Palaces and Museums, House Teams including ones from The National Trust and English Heritage, they almost become one of the team, even being able to help build up a historic picture where records are poor or missing so that the most accurate finish possible is achieved. Please look at the section ‘Where You Can See Our Trimmings’, there is a list showing some of the most important projects Heritage has been involved in.